Our team is passionate and motivated with extensive experience in paediatric healthcare. Meet Sarah Hunstead, Founding Director of CPR Kids. In 15 years of paediatric emergency nursing, Sarah Hunstead has treated children with all kinds of injuries and illnesses. She has also seen countless parents come through the doors of the Children’s Hospital, distraught that they didn’t know how to help their child. Becoming a mother reinforced to Sarah how valuable her professional experience was. “I realised how lucky my husband and I were – as paediatric nurses, we’d know what to do if anything ever happened to our girls,” she says. Determined to share her knowledge, experience and passion for paediatric care, Sarah founded CPR Kids in 2012. CPR Kids delivers a range of classes taught by experienced clinicians, nurses and midwives, with a focus on hands-on learning and real-life scenarios. From intensive sessions to seasonal refresher courses, each class is tailored to suit participants and address the specific needs of babies, toddlers and older children. A life. A finger. A pea up a nose. Sarah’s book A life. A finger. A pea up a nose: a practical guide to baby and child first aid was first published in 2013 and is now in its third edition. The title was inspired by an incident where Sarah’s toddler stashed a pea in her own nostril, in case she got hungry later! 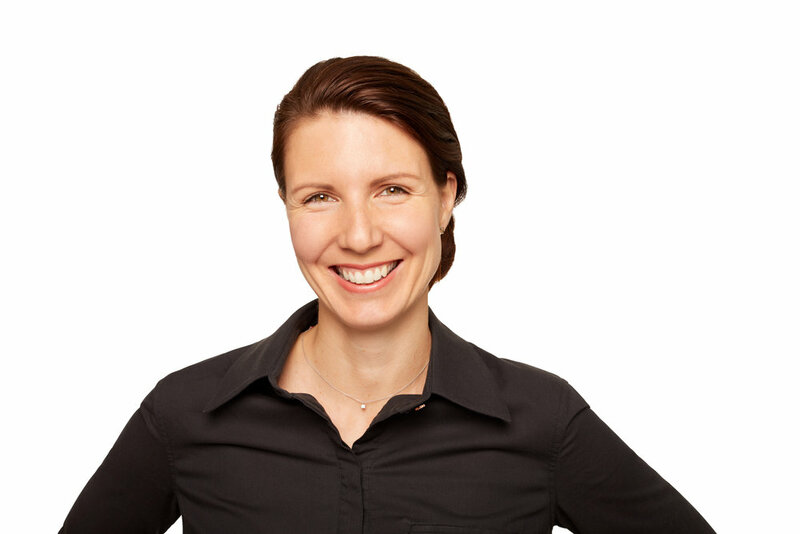 Sarah has a Masters Degree in Clinical Practice, and has held various roles in paediatric emergency departments in Sydney and Melbourne, including Nurse Unit Manager and Clinical Nurse Specialist. Sarah lives with her husband, two daughters, dog and fish. When she’s not teaching, writing or speaking at events, Sarah likes to explore the bushwalks and beaches of Sydney’s National Parks with her family. Already inspired by the difference their mum is making to so many lives, Sarah’s daughters want to grow up to be doctors, nurses or wildlife warriors.